The key to the quality and eye-popping graphics of Beacon custom apparel in NJ comes down to a highly skilled staff using the best tools and techniques while providing the highest attention to detail. That means always using high resolution artwork, quality inks, high-tension screens, and the best embroidery technology. By adding branding logos, positions and names, Beacon can help promote your brand, products services, team or organization. Beacon uses the latest screen-printing equipment and supplies to obtain the finest prints possible for consistency from the first print to the last so that the graphics are sharp and detailed. Whether you’re looking for name customization on Varsity Jackets or creating corporate team shirts for trade shows or events, our custom screen printing and embroidery will provide both branding and personalization to your custom apparel in Monmouth County. You can provide your own logo, design, or marketing message and choose color and style options as well. Our in-house production staff monitors each project in real time for quality assurance not found in many providers of custom apparel in NJ. All of our custom apparel is high-quality and built to last, ensuring your message is seen for years to come. Our innovative screen printing, embroidery and applique methods are an outgrowth of our craftsmanship coupled with a knowledge of modern fabrics to ensure long lasting compatibility. We routinely work with clients to design their logo from scratch as well as taking custom artwork to deliver the best custom apparel prints. We are fairly flexible in the formats we can accept digitally, but our skilled design personnel can work with you to determine the best approach for submitting your artwork. Our in-house graphics and production, team along with a full-time shipping and receiving department empowers us to control every aspect of every project. Our hand-picked suppliers complete the picture so that you can be confident that your product and our services will always meet or exceed your expectations. At Beacon Awards & Signs, we’re motivated and driven by customer satisfaction. That’s the foundation of our longevity and extensive list of repeat customers, A satisfied customer is what keeps us motivated. We always work collaboratively with you every step of the way to make sure your custom apparel in NJ meets your vision, schedule and price. 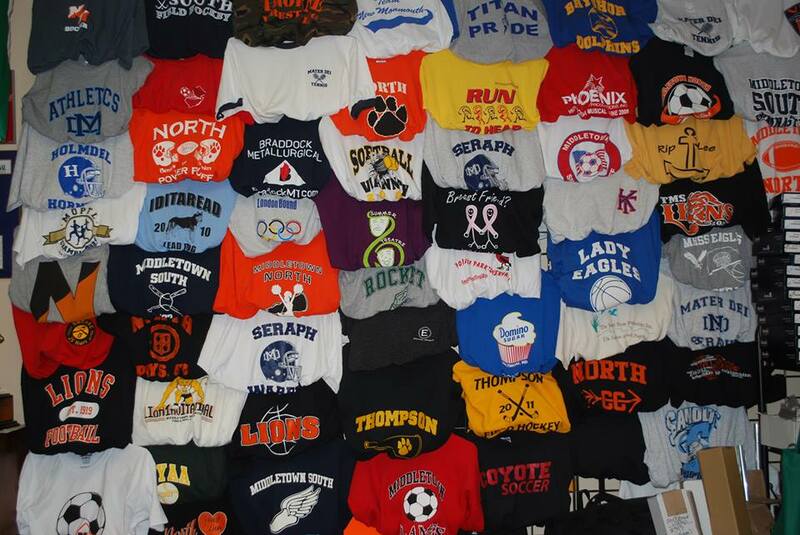 Call us today to get started on fulfilling your project for custom apparel in Monmouth County at 732-8747-9588. Where everybody knows your name: Between Ray and Sally you cannot get any better service. I could go anywhere in the tri-state area but I will never get the down home and special attention you get with Ray or Sally. Great prices..great service.. nice people. What more can you ask for! Beacon Awards & Signs the Jersey Shore's #1 source for trophies, awards and varsity jackets. Copyright 2018, Beacon Awards, Inc. All rights reserved. Site by: Splendor Design Group.